The label is fairly dazzling, and so is the wine. Campo de Borja produces large quantities of big ripe warming red wines, usually made from Garnacha. Along with Tempranillo from La Mancha, they represent some of the best value red wines available. Not just from Spain, but from anywhere. This is a classic of the style, with more fruit and intensity than most of the supermarket versions. 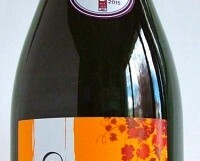 Big, rounded and ripe with soft spicy strawberry fruits and a very decent supple finish. Great value for money, and perfect for barbecued meats.